Hey there, I just wanted to give a shout out and let everyone know of the monthly challenge that's happening over on the Earrings Everyday Blog. 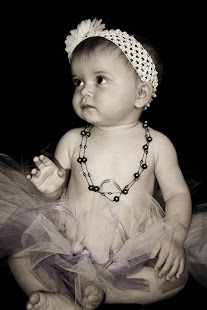 I love earrings and 'haunt' this site regularly, commenting (when time allows) on all the super cool, drool-worthy earrings and information they post daily. And, they're doing a give-a-way, too! Click here to go to the post and get all the juicy details! 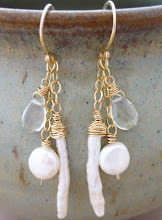 I was trying to make time to create a pair of earrings for the monthly challenge and the link-up happening tomorrow - Friday, February 21st - but with work and a few other things going on, it might not happening as I would like. Please head over and join in the fun if you can find the time. 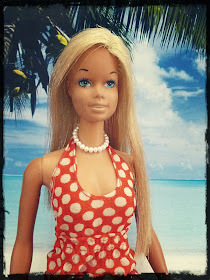 At the very least, stop by to check out the blog and every one's link-up entries tomorrow. I'm excited to see all the cool creations using the art inspiration they have provided! with my sister and some friends this weekend. 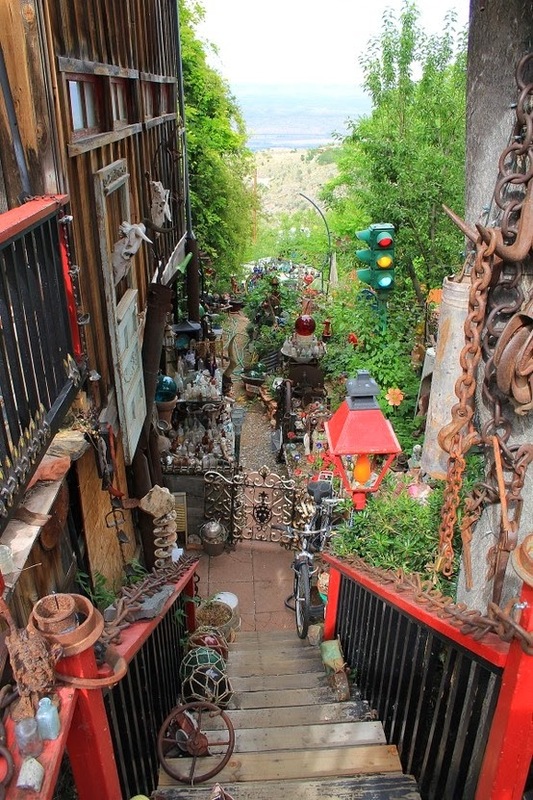 This little, old mining town is a wealth of cool inspiration - to say the absolute least! With all its old doors, haunted hot spots, wicked landscape and amazing panoramic views, I'm hopeful that many of the artists shops that closed during the 'great recession' have re-opened because the talent and uber-cool vibe that fills this town is infectious and I'm completely ready to soak it up! Peace, Love and Finding Inspiration Everywhere! 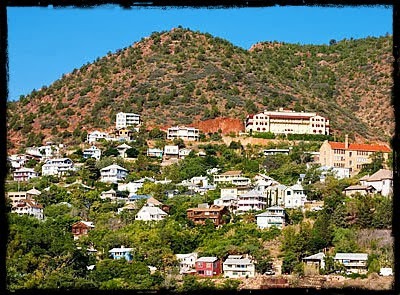 Jerome Arizona sounds like a fabulous place to visit. I wonder if I could get (drag) my husband there. Either way I'm adding this to my long list if places I want to visit. What an interesting looking place, Jerome. I showed my husband your posts about it. We may have to put it on our itinerary for a trip.